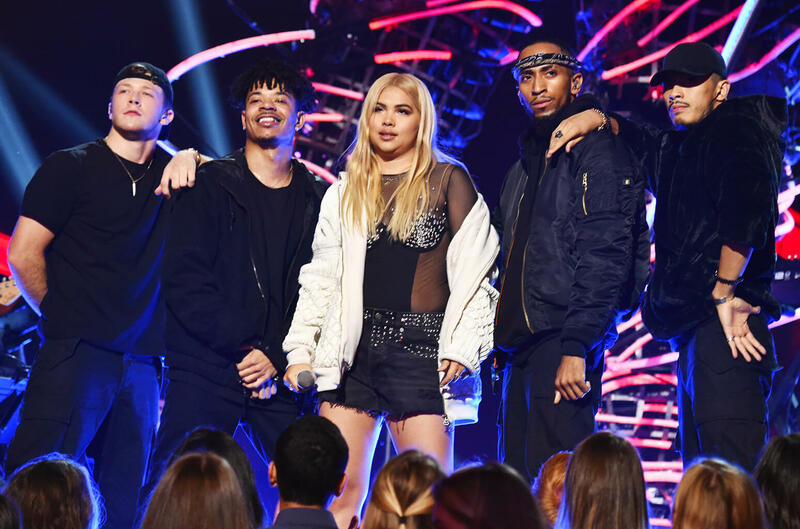 Hayley Kiyoko is benefitting as much as possible from her first-since forever trek to the MTV Video Music Awards. Not exclusively did the rising star win her first moonperson for Push craftsman of the year, however Kiyoko exhibited her execution abilities with her pop banger "Inquisitive." The artist completed a fast execution of the eccentric song of praise that broadcast amid the show, conveying mark dribbling in-swagger move moves before a posse of reinforcement artists. Amid the broadcast preshow, Kiyoko got the Push craftsman of the year, destroying SZA, Khalid, Lil Xan and a few others. "This approves any eccentric lady of shading that you can take after your fantasies," Kiyoko said in an unrehearsed acknowledgment discourse on the pink cover. In front of the honors, Kiyoko told Billboard, "I'm extremely eager to be there and I'm eager to be assigned. It influences me to feel like I'm at last welcomed to the well known table. I'm prepared to take a seat and hang out."